SMITHS FALLS, Ont. - Canopy Growth Corp. shares jumped Monday afternoon following news that the Ontario-based cannabis company has been granted a licence by New York state to process and produce hemp, a member of the cannabis plant family. The company's shares closed up 11.17 per cent at $56.45 on the Toronto Stock Exchange. The stock closed Friday at $50.78, up 29 per cent from $39.28 at the close on Jan. 2 – the first day of trading in 2019. Canopy Growth, which has its headquarters southwest of Ottawa in Smiths Falls, Ont., is one of Canada's biggest producers of legal cannabis products for medicinal and recreational use. The company announced plans to invest between US$100 million and US$150 million at its proposed New York hemp operations, although the exact location hasn't been decided. 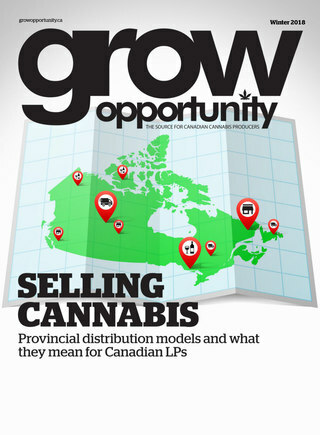 Canopy Growth says it's in the process of evaluating a number of sites that will become one of its first extraction and processing facilities outside Canada and it plans to announce the specific location within 100 days. The company – which received a $5-billion investment in August from alcoholic beverage maker Constellation Brands of Victor, N.Y. – said it was evaluating sites in the Southern Tier region of New York state near Pennsylvania. U.S. Senator Charles (Chuck) Schumer, leader of the minority Democrats, said in Canopy's statement that he expects a "major shot in the arm" for the Southern Tier economy and for farmers.